Office Space - Marlborough, Wiltshire. Located less than a mile from the centre of Marlborough town, this centre has excellent communication links, and is particularly close to Salisbury Plain and Stonehenge. 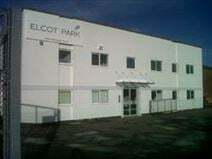 It offers refurbished office space in a quiet location. Parking is also available.